Burnley came from two goals behind at half time tonight to beat Bolton Wanderers 4-2 in the Professional Development League and in doing so took our total of league goals for the season to fifty. Although far from at our best in the first half, I found the two goal deficit difficult to believe, but the second half performance was really outstanding against a very good Bolton team and there was absolutely no doubting that we were fully deserving of this victory. Steve Stone made a number of changes to the team from the one that had played against Liverpool in the Premier League Cup last Friday and it included two players returning from long term injuries and another getting his first start at this level. Anthony Glennon, who captained the side, moved back into the left-back position to allow Teddy Perkins to come back in for his first game since September and that was the month when Christian N’Guessan last played, stretchered off in the home win against Bolton. He too was making a return alongside Josh Benson (pictured below) in the centre of midfield. Michael Fowler, the youth team captain, has had a couple of short cameos as a substitute recently but he was the player to get a first start alongside Rob Harker with both Dan Agyei and Tinashe Chakwana, who is returning from injury himself, on the bench. 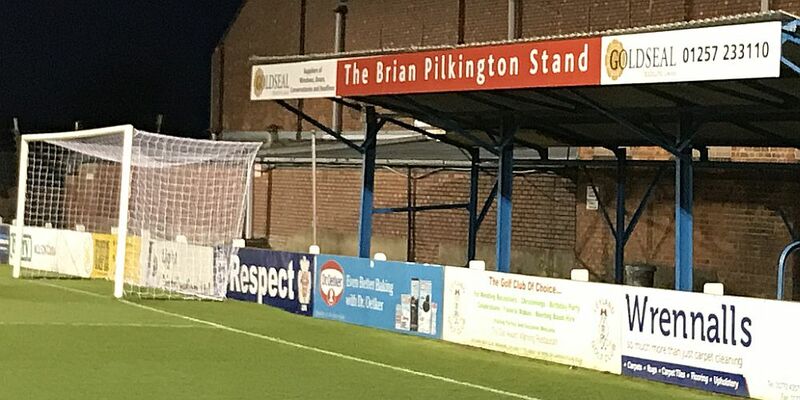 It was my first visit to the County Ground at Leyland, formerly the home of Leyland Motors although we played there in a Barclays Premier Reserve League game nine seasons ago, coming from behind to beat Bolton 2-1 with a Steven Thompson penalty and a winner from Joe McKee. Stone admitted he gave the players a taking to at half time but with any luck at all we could so easily have gone in with a lead. Glennon smashed a shot against the underside of the bar very early in the game and we came close another couple of times, but we made things difficult for ourselves with a couple of defensive slips that allowed Bolton’s Olowale Tanimowo to score twice, the first one just twelve minutes in and the second some six minutes before the break. In truth, that was the last we saw of Bolton and we went on to totally dominate the rest of the game with some very impressive performances from our players. The one surprise was that it took us until the 59th minute to get ourselves on the scoresheet. Agyei came on for Harker and we instantly got back into the game when Fowler got his first under-23 goal when he got to a Bobby Thomas header following a corner from Benson. At that point I thought we were back in the game and could potentially get something from it and there wasn’t too long a wait for the equaliser, another three minutes to be exact. Again it was a Benson corner and again it was a Thomas header which this time found the net. Chakwana came on for Blair soon after and we continued to play some really good football although as we moved into the last ten minutes it was still all square. Then, Benson got his third assist of the night. Agyei had made a difference and got his just reward when he powerfully headed home the midfielder’s free kick. And, on the subject of a player getting his just reward, Benson added a goal of his own to his two assists with a superb fourth goal from a free kick. Had the talking at half time done the trick? Stone said afterwards: “For the first time I really had a go at them at half time and really let them know what I thought of how their performances were and what their duties were.” He felt his team hadn’t shown the necessary grit and determination. Like those of us in the stand, he was delighted with the second half, singling out Benson for praise. “You have to show all those horrible things I always talk about and second half they certainly did that and they ground them down in the end,” Stone added. The result has taken us into second place in the table and we’ve now beaten last season’s final points total from nine less games. Our next game is this Friday evening at Hull. Bolton: Jake Turner, Harry Brockbank, Chiori Johnson, Yoan Zouma, Will Hartshorne, Jack Earing, Lewis Doyle (Jordan Boon 62), Shakeel Jones-Griffiths, Olowale Tanimowo, Stephen Duke-McKenna (Luca Navarro 72), Ronan Darcy. Subs not used: Joe White, James Aspinall, Eddie Brown. 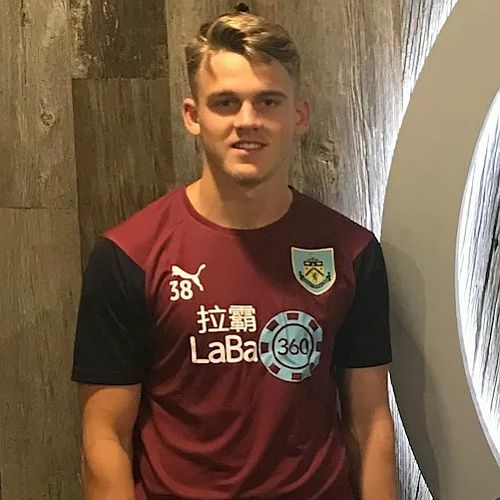 Burnley: Aidan Stone, Jordan Cropper, Bobby Thomas, Teddy Perkins, Anthony Glennon, Tunde Bayode, Christian N’Guessan, Josh Benson, Marley Blair (Tinashe Chakwana 64), Rob Harker (Dan Agyei 59), Michael Fowler. Subs not used: Kai Calderbank-Park, James Clarke, Kian Yari.